Elizabeth Patterson Bonaparte was renowned as the most beautiful woman of nineteenth-century Baltimore. Her marriage in 1803 to Jérôme Bonaparte, the youngest brother of Napoleon Bonaparte, became inextricably bound to the diplomatic and political histories of the United States, France, and England. 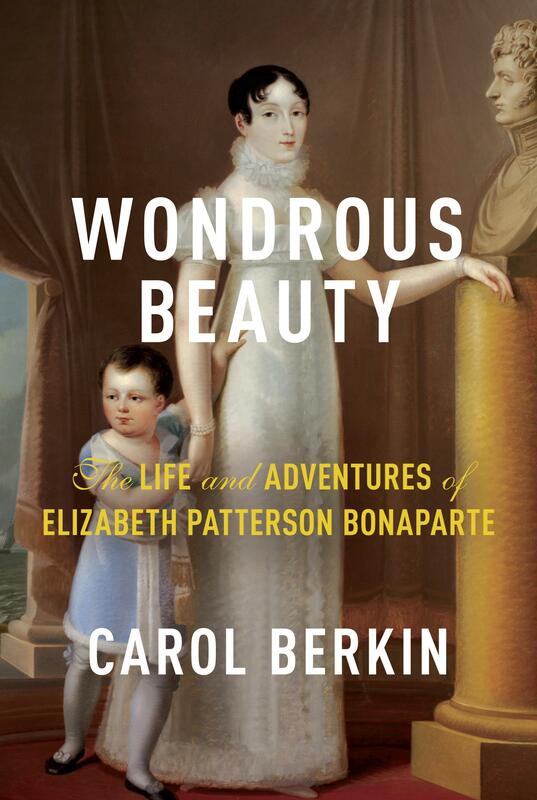 In Wondrous Beauty, Carol Berkin tells the story of this audacious, outsized life. Historian Lincoln Paine has just written a monumental retelling of world history through the lens of maritime enterprise, revealing in breathtaking depth how people first came into contact with one another by ocean and river, lake and stream, and how goods, languages, religions, and entire cultures spread across and along the world’s waterways, bringing together civilizations and defining what makes us most human. In his book, Sea and Civilization: A Maitime History of the World, Lincoln Paine takes us back to the origins of long-distance migration by sea with our ancestors’ first forays from Africa and Eurasia to Australia and the Americas. Standing on the weatherworn shores of the Alaskan coast, Pulitzer Prize winning author Philip Caputo watched Eskimo schoolchildren pledge allegiance to the same flag as the children of Cuban immigrants in Key West, six thousand miles away, and began to wonder: How does the United States, as diverse as it is large, remain united? In 2011, in a nation mired in war abroad and rocked by the greatest economic calamity since the Great Depression, Caputo loaded his wife and two English setters into an Airstream camper and hit the open road in search of answers. Captuo’s The Longest Road: Overland in Search of America from Key West to the Arctic Ocean follows the epic 4 month road trip that lead the couple down country roads, meeting Americans from all walks of life. Philip Caputo is a Pulitzer Prize-winning journalist and the author of many works of fiction and nonfiction, including A Rumor of War. Simon Winchester, The New York Times bestselling author of Atlanticand The Professor and the Madman delivers his first book about America. The Men Who United the States is a fascinating history that illuminates the men who toiled to discover, connect, and bond the citizenry and geography of The United States of America.